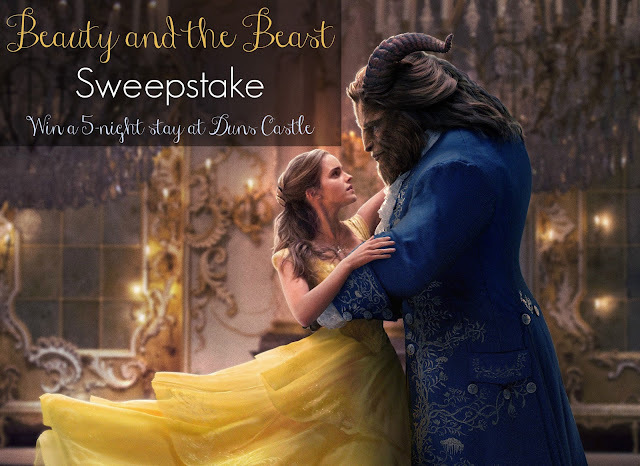 I’m partnering up with several other influencers as well as 'Activate' AND Disney to give you a chance to WIN a five-night stay at Duns Castle for you and 20 (yes, TWENTY) guests of your choice. Airfare, meals, and entertainment are included. Enter by clicking the HomeAway graphic BELOW or by clicking HERE. PLUS – Five runners-up could win a HomeAway® vacation that includes 7 nights’ stay in a HomeAway property of your choice as well as roundtrip travel costs. Disney's "Beauty and the Beast" Sweepstake. No purchase necessary. Competition opens February 9, 2017, at 05:59am CST and closes March 31, 2017, at 4:59pm CST. Competition is open to residents of the UK, USA, France, and Germany. One entry per person.